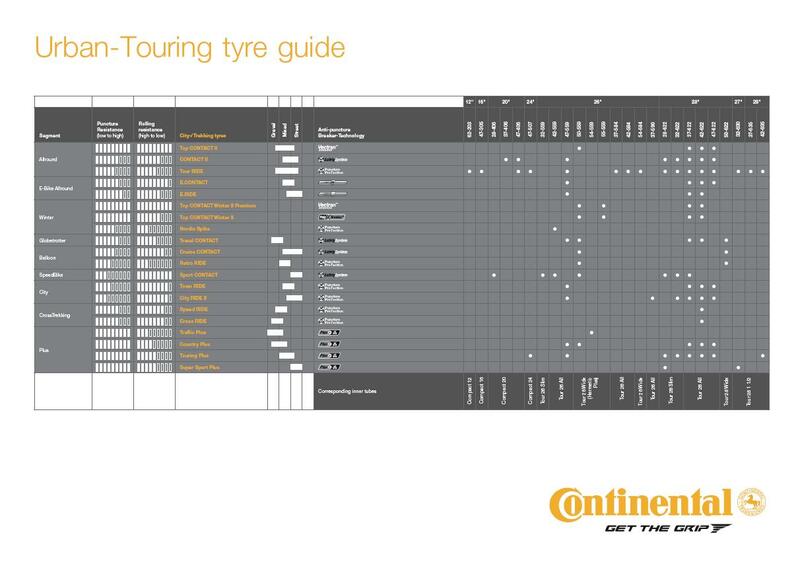 The reference in the touring tyre. The ultimate tyre for touring cyclists – Handmade in Germany. Thanks to the distinct centre tread and bionically designed, siped shoulders, it guarantees outstanding handling on all types of surfaces. The new, further developed tread mixture is super-fast and at the same time, durable and skid-resistant. The foldable version makes it even lighter and easier-tomount. The fine, cut-resistant nylon carcass, the practically impenetrable Vectran™ Breaker and real German handwork all remain in this updated version. Have a set on my Co-Motion Americano touring bike. These are large volume tires that handle all surfaces really well. The only thing they don't excel at would be slick mud. I ride on a mix of paved roads gravel roads cycle paths and single track. The surfaces here in Toronto are pretty bad. I have about 5000 k a n these and they are wearing well, I never had a puncture or cut yet. I probably just jinxed myself. Received the tires about a week ago. Prompt delivery, good packaging. Installation was straightforward, as expected. Compared to my previous tire (Continental Sport Contact, which I was also very happy with), these are a clear upgrade. Smoother, more solid feel. Better handling on corners and on wet pavement. I did have to adjust my fenders outwards a bit to allow clearance for these tires, as they seem to have a bit more tread, even though they were the same size as my Sport Contacts. My Sport Contacts lasted for 5,000 kms, and I could probably have squeezed another 1-2,000 kms out of them if pushed. Not a single flat in that time. I'm 210lbs, and my bike with gear is around 40lbs, so they were supporting a lot of weight for those 5000 kms. I expect similar or better longevity from these tires, so let's see how they hold up! Lost patience with standard MTB tyres always suffering punctures so went with these. Did two weeks of daily commuting 650km no issues and while no speed demons roll well enough. Took them out for a spin on a Rail Trail and Forest Trail for 180km and no issues/punctures. Ideal for the purpose of Rail Trails and winter commuting but don't expect grip on forest trails when damp/muddy. Would recommend for Rail Trails gravel etc .